Visit Heidelberg Castle (Heidelberger Schloss) – the most popular attraction in Heidelberg. 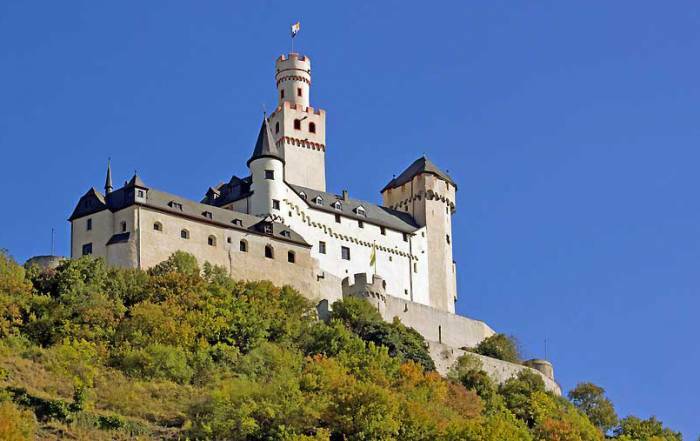 Walk up to the castle from the Old Town or take the Heidelberger Bergbahnen Funicular from the Kornmarkt square up the hill. The gardens are free, while the Castle has a small admission fee. 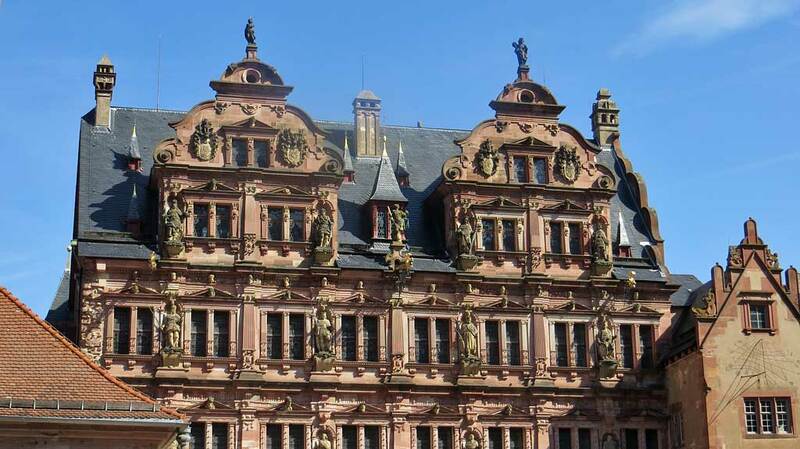 Don’t miss the gigantic wooden wine barrels on the Heidelberg Castle tour – the largest wine barrels in the world. The Germany Pharmacy Museum is located here too. 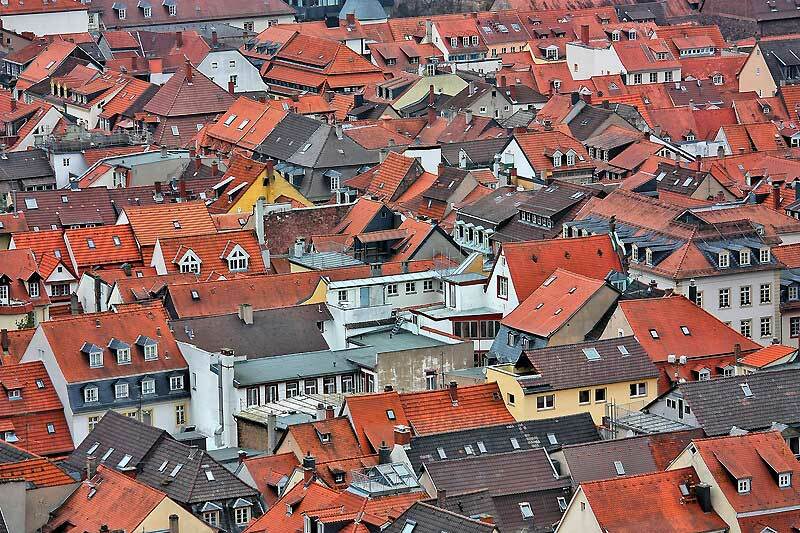 Walk the Old Town (Altstadt) or take a guided tour. Stops include Universitätsplatz at Heidelberg University, the Karzer Student Prison on Augustinergasse, the Crucifixion, the Kornmarkt (corn market), the Markplatz, the Church of the Holy Spirit, Untere Strasse, the pedestrian street called Hauptstrasse, Knight St George’s House, the Old Bridge with the Brass Monkey Statue at the Bridge Gate and St Peter’s Church. St Peter’s is the oldest church in Heidelberg. 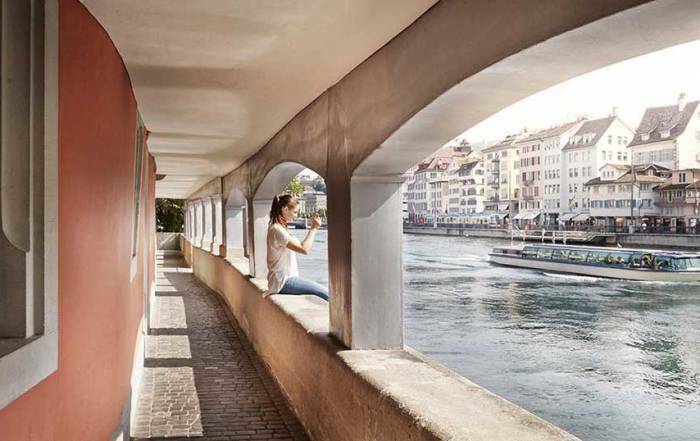 Philosopher’s Walk – walk across the Old Bridge over the Neckar River and climb the steep embankment for great views of the city. 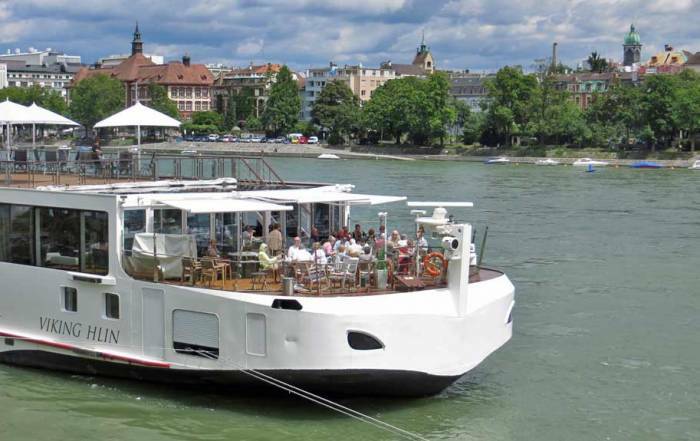 Take a short river cruise on the Neckar River on the Weisse Flotte Heidelberg. See the S-Printing Horse, which is the largest horse sculpture in the world. The S-Printing Horse is in front of the Print Media Academy. Kurpfälzisches Museum – medieval history. Try coffee at Café Knösel, Café Burkardt, Shiller’s Cafe, Cafe Gekco or JJ Darboven. Visit at Christmas to see the transformation of all the market squares. Walk 45 minutes through the forest to Heiligenberg to see Thingstätte (a Nazi amphitheatre) and an abandoned monastery. 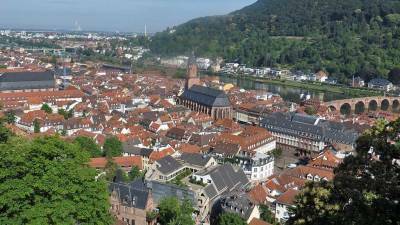 Ride the Heidelberger Bergbahnen Funicular – First stop is the Heidelberg Castle. Second stop is the Hotel Molkenkur restaurant and guesthouse. Third stop is the Konigsstuhl (King’s throne) for a view of the city and the country side. 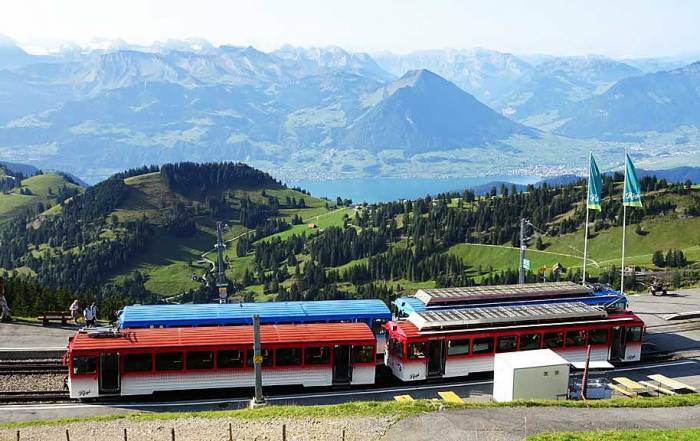 Also at the top of the Heidelberger Bergbahnen Funicular you will find the Falconry bird show, Märchen Paradies children’s theme park, the Berghotel und Restaurant Königstuhl and the State Observatory. The Heidelberg Student’s Kiss is made of chocolate praline nougat and wafers covered in chocolate. A small picture of a couple kissing is then wrapped around the chocolate. In the 1880s, men and women were discouraged from meeting in public. Fridolin Knösel came up with the idea of putting a secret compartment in the chocolate wrapper so that notes could be concealed and exchanged. The idea caught on with university students, who began exchanging chocolate in the same manner that text messages are exchanged today. Café Knösel still sells Heidelberg Student’s Kiss and so do a number of other retailers in the tourist district. 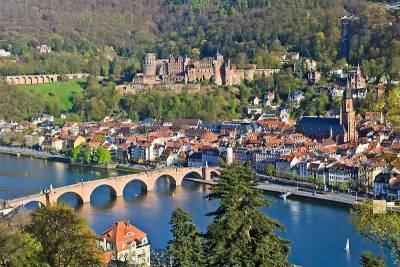 Heidelberg weather makes it a summer tourist destination. Average temperatures peak in July and August at 80 F (26 C), while lows are about 60 F (16 C). By December and January average highs are 44 F (6 C) and average lows are just above freezing. Rainfall peaks in July and again in November. 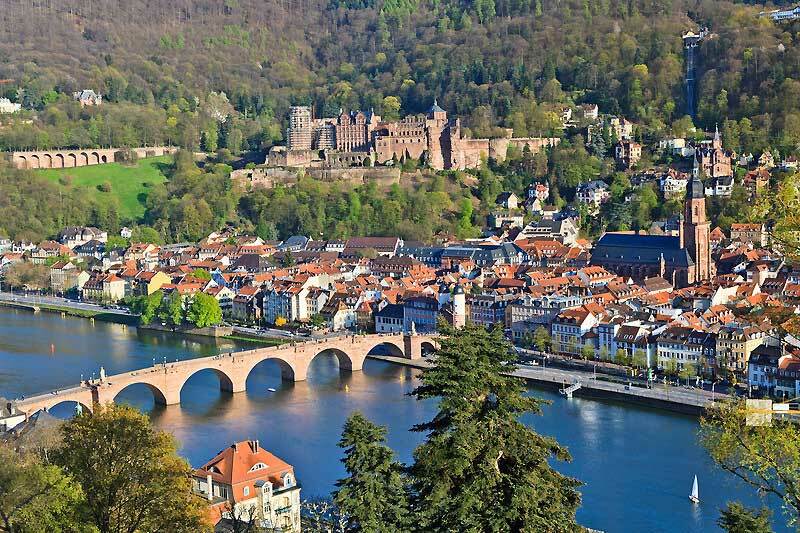 August is likely the best month to visit Heidelberg for good weather. There is no major airport at Heidelberg. 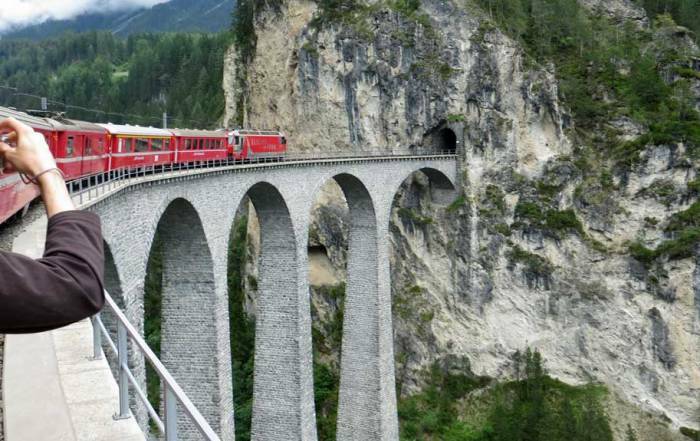 One of the best ways to get to Heidelberg is by train. Mannheim is under a half hour to west and it provides high speed train service connections. Alternately, the autobahn connects with Frankfurt an hour to the north and Karlsruhe 40 minutes to the south. Rhine River cruises typically disembark passengers in Mannheim for an excursion by bus to Heidelberg. The central station in Heidelberg is at the western edge of town and a tram is available to help visitors reach Heidelberg Old Town. 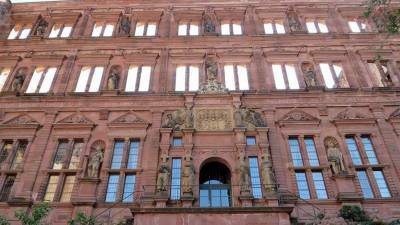 Heidelberg Castle is accessible from town by funicular, charter tour bus or by walking. 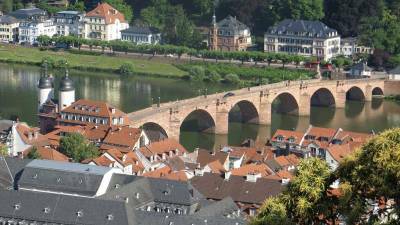 Heidelberg is on the Neckar River, near the Rhine River. 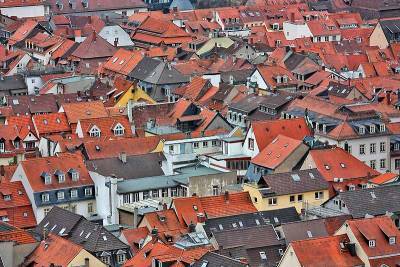 About 150,000 live in Heidelberg. People began living here around 800 AD. 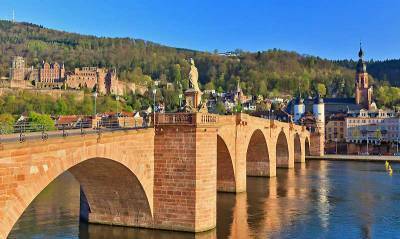 Heidelberg has become very popular with the increase in Rhine River Cruises. 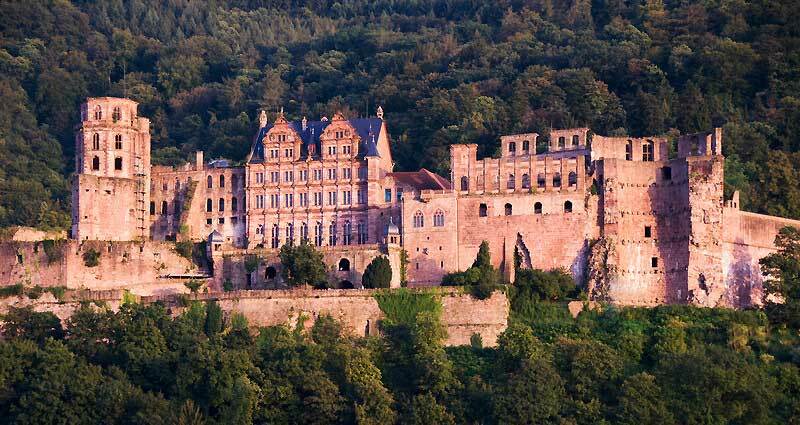 The Heidelberg Castle is about 20 minutes from Mannheim on the Rhine River and 1.5 hours from Miltenberg on the Main-Danube Canal. 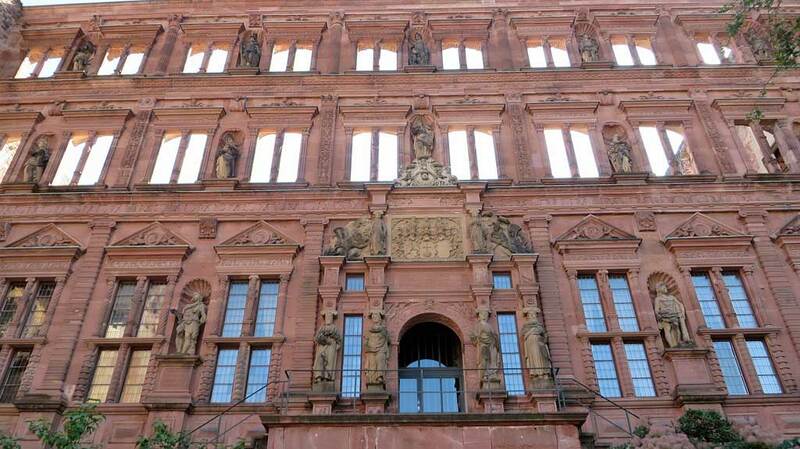 Heidelberg University is well known internationally, but the main tourist attraction is Heidelberg Castle. 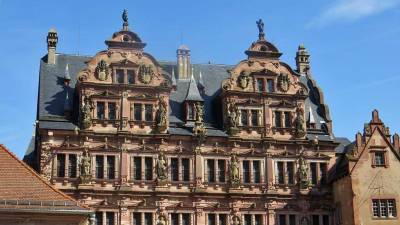 Heidelberg is renowned for its large wine barrels and you can see these at Heidelberg Castle. 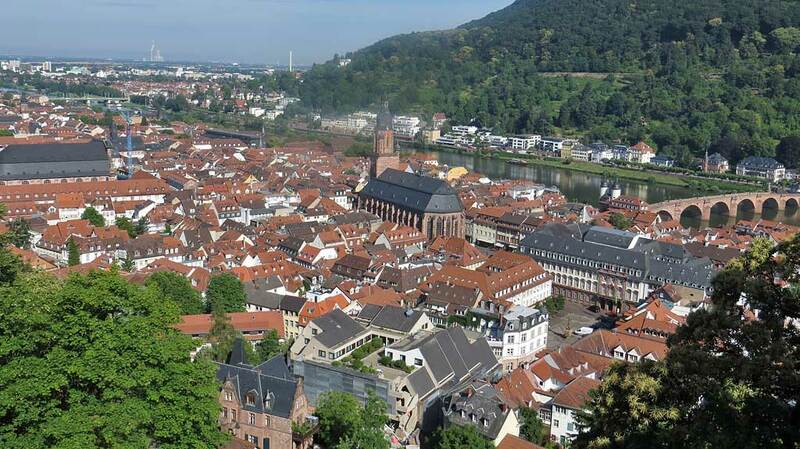 The headquarters for American forces in Europe during the World War II was Heidelberg.